This is the Main Window of pupil Management . For a description of the buttons please scroll down. : It will open a window for information on school history . : It will open the window for entering information about pupil's legal guardian. : It will open a window for additioanl information about the class. : It will open a window for adding/removing courses activities for a pupil. 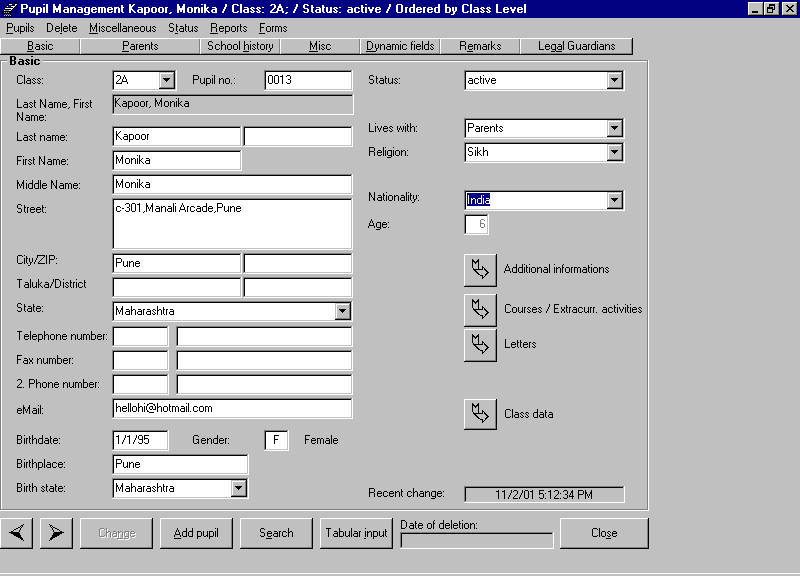 : You can browse details of letters received by the pupil. : It will open a window for browsing details of class in which pupil is studying. : It will open the window for entering in tabular manner.